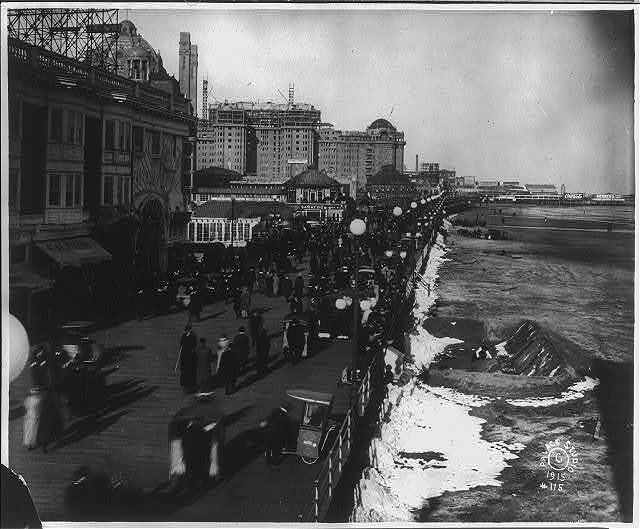 I imagine the Easter parades were really something to see, but I believe I might become a little claustrophobic in the huge crowd we can see in this remarkable film taken on the Atlantic City Boardwalk in 1904 by the Thomas Edison silent film company. 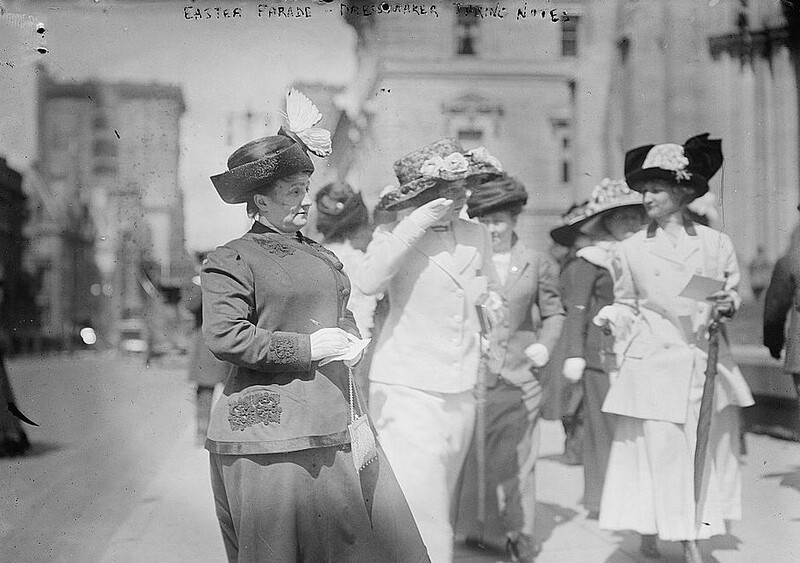 The people are all in their Easter finery as they parade on the boardwalk near Green’s Hotel, and near a pier in Atlantic City. 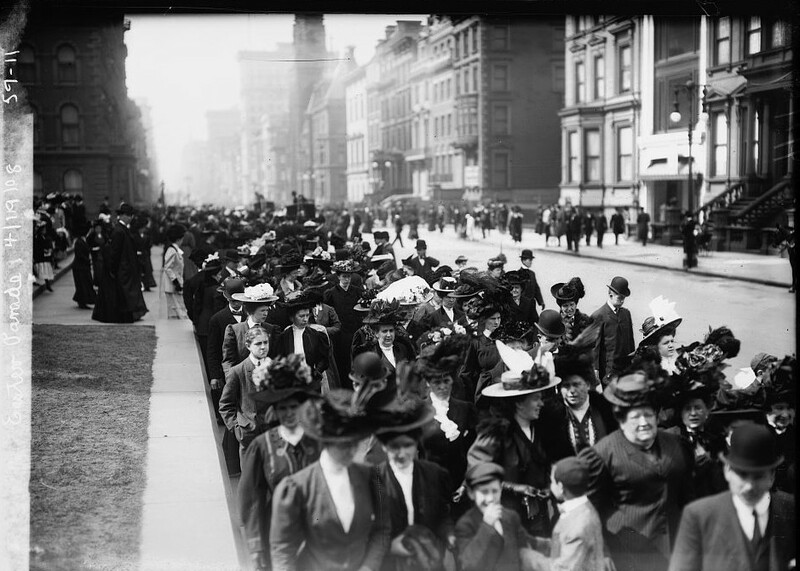 Near the middle of the film, the camera catches the people in close-up scenes. 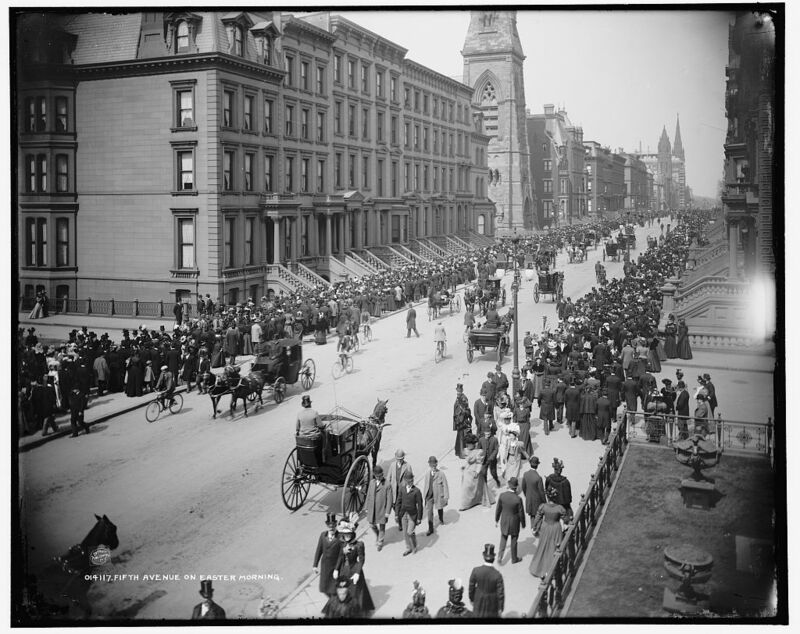 Some people have chosen to ride in stroller chairs, one man pushes a baby carriage. 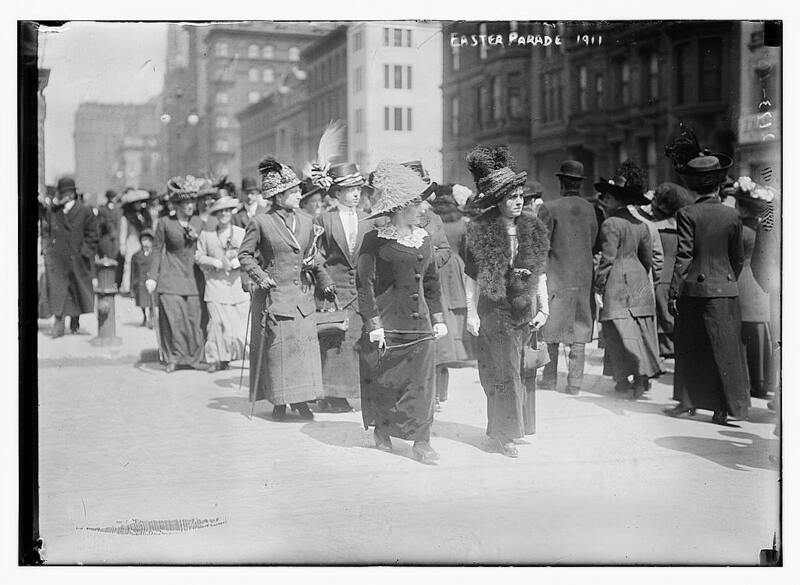 It must have been windy since many ladies are holding their hats. 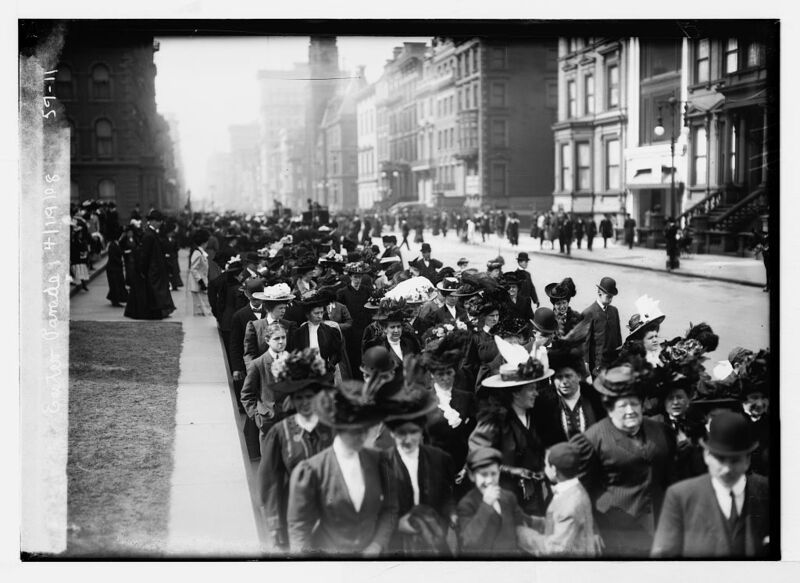 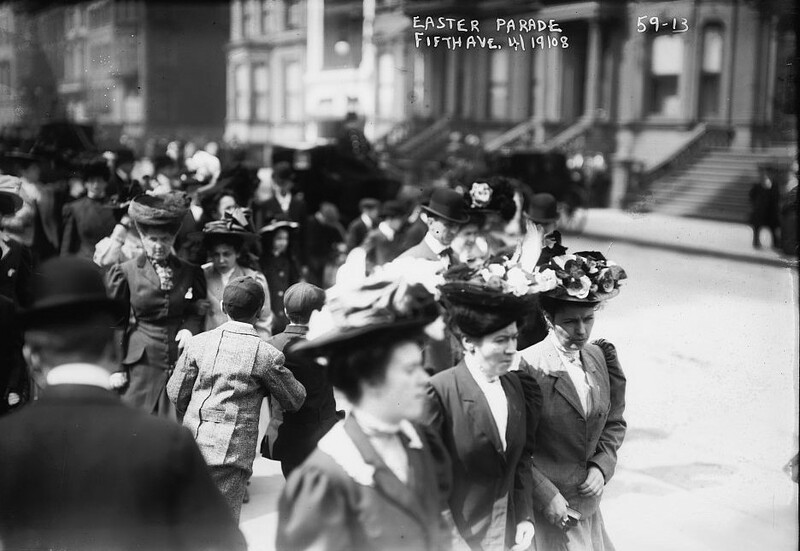 Here are some photographs taken by Bain News Service from around 1915 of the Easter Parade in New York. 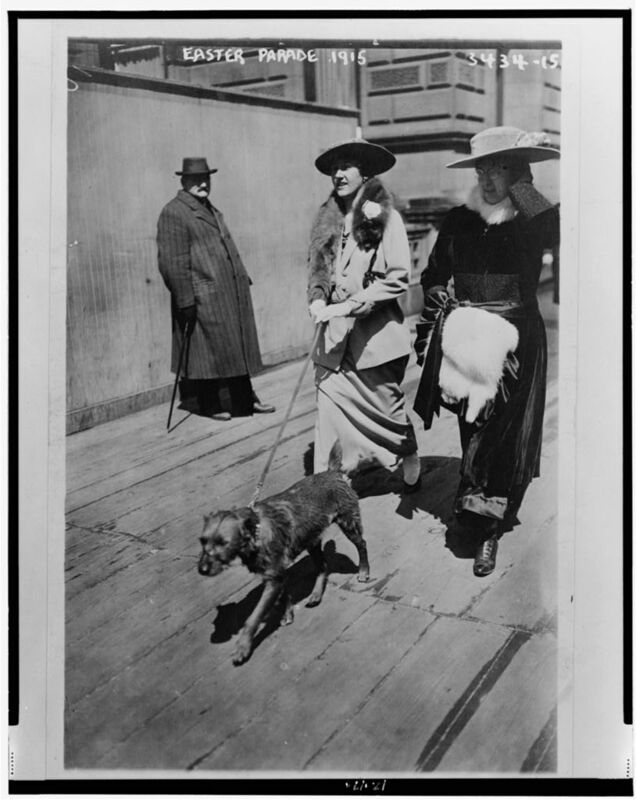 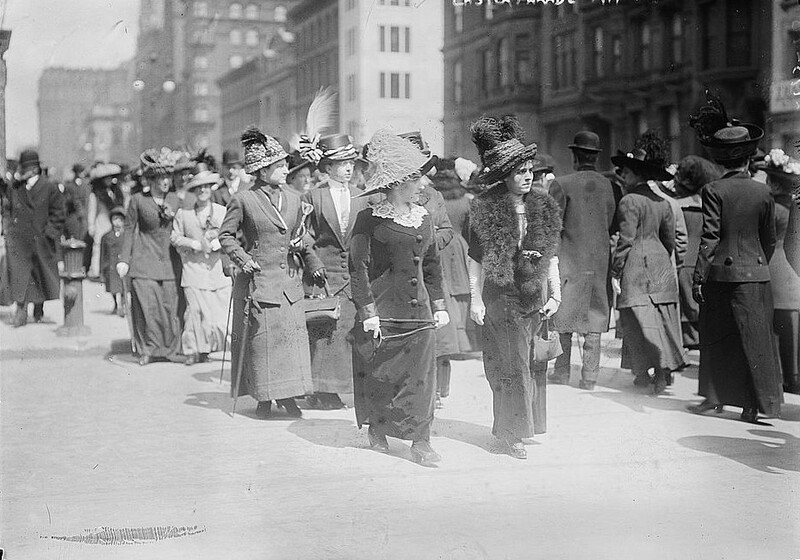 This is two ladies walking a dog on the 5th Avenue in the Easter parade mentioned in the song in 1915. 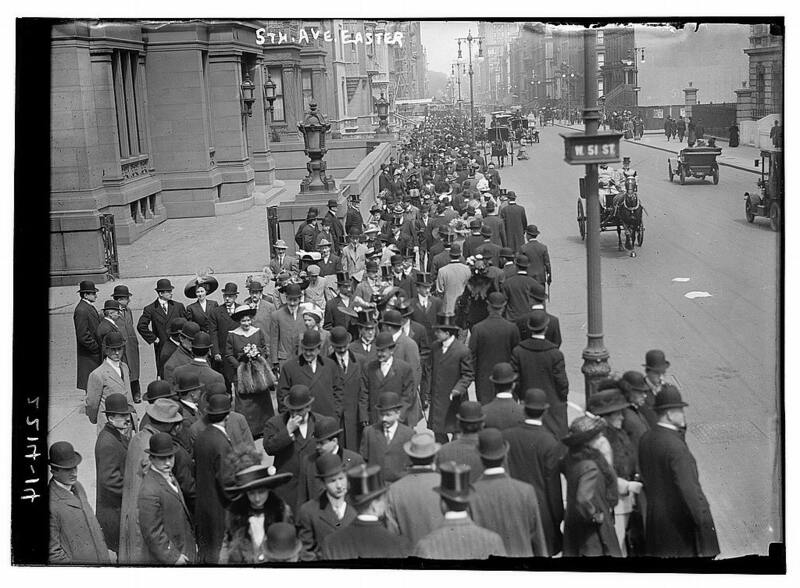 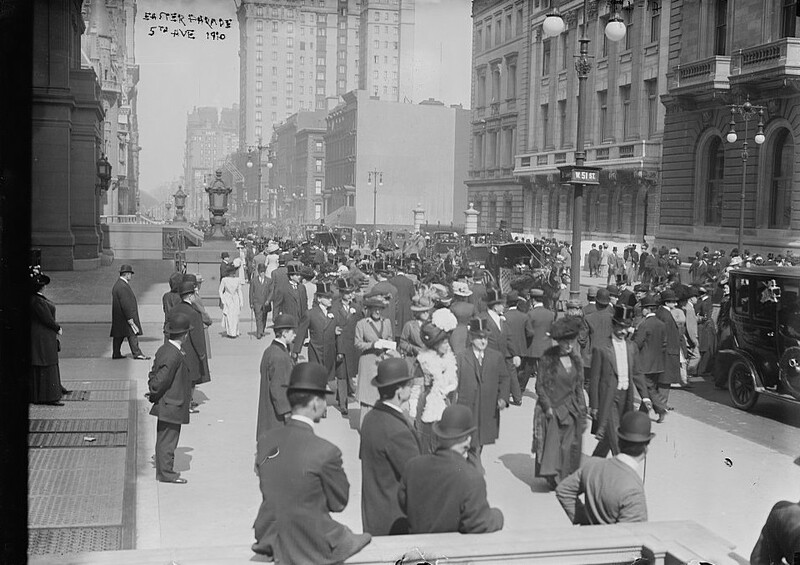 The photograph below by Bain News service was of 5th Avenue around Easter, 1910. 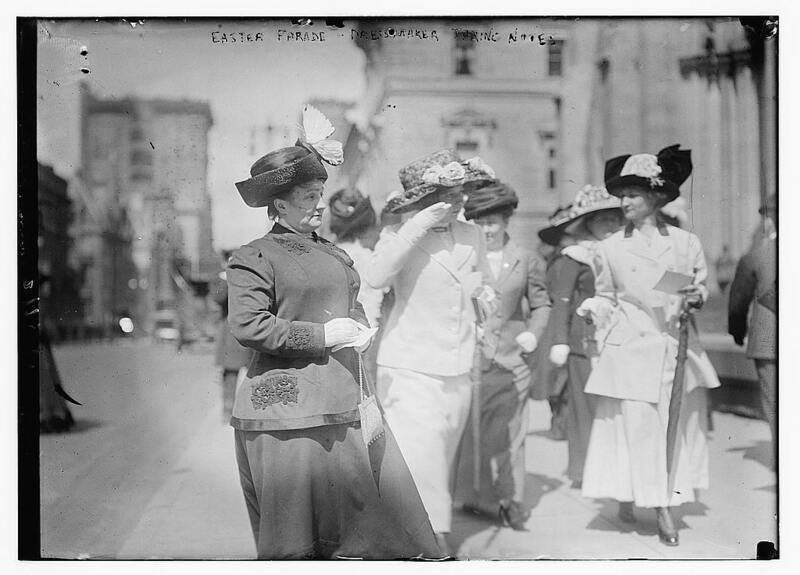 Notice the dressmaker taking notes of the Easter dresses in this 1900 Photograph by Bain News Service. 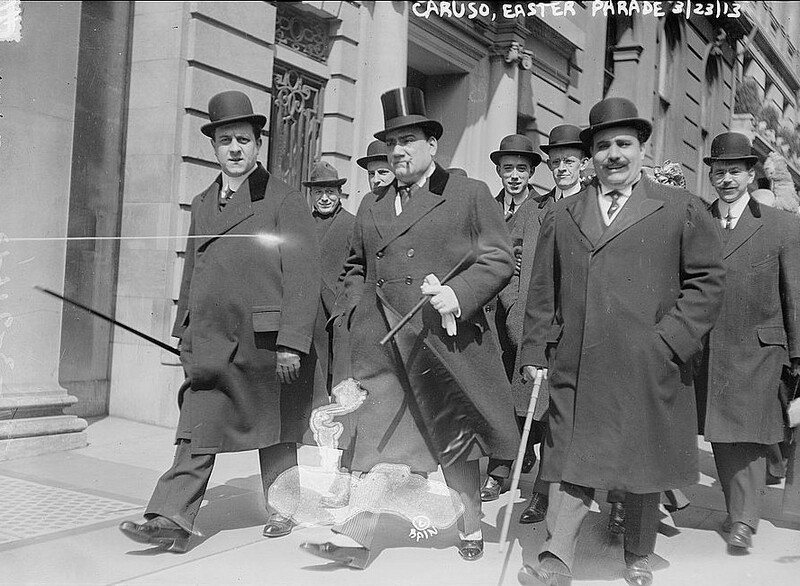 Even opera singer Enrico Caruso participated in the Easter parade as seen in this photo on Easter day, March 23, 1913, New York City. 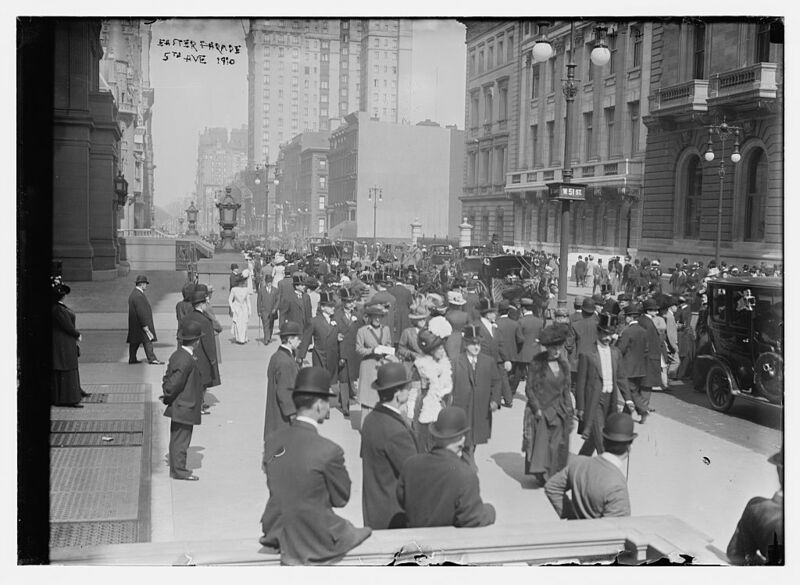 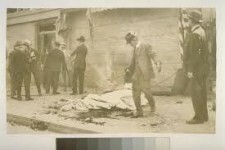 These two photographs of 5th Avenue were taken in 1908. 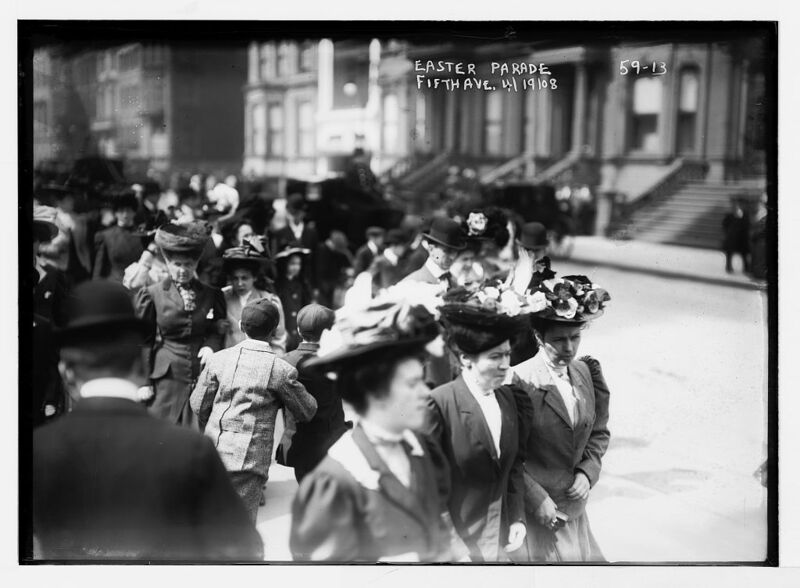 It was a very crowded Easter parade. 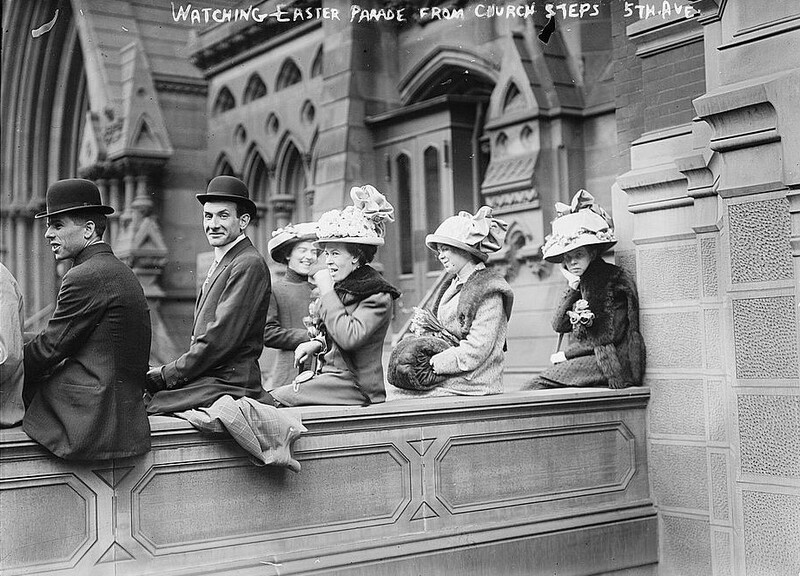 These men seem to be enjoying the show on 5th Avenue in 1910. 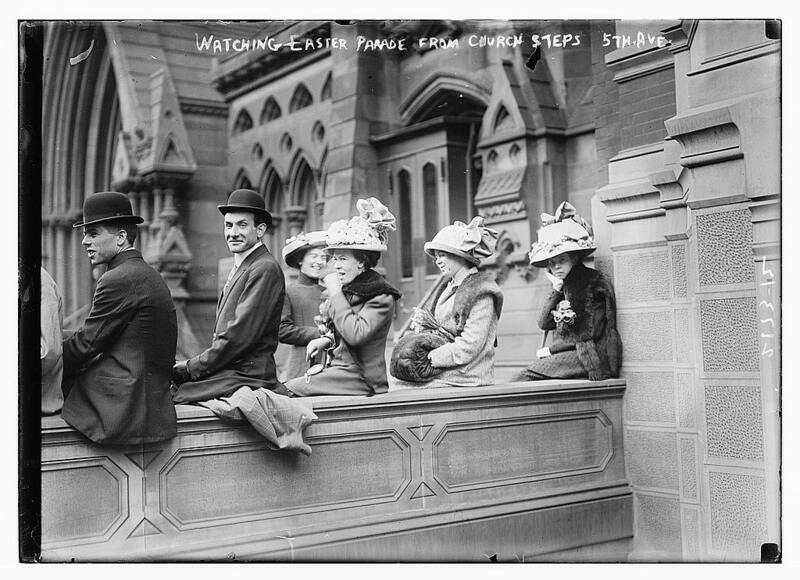 Some people enjoyed watching like these on the church steps in 1900. 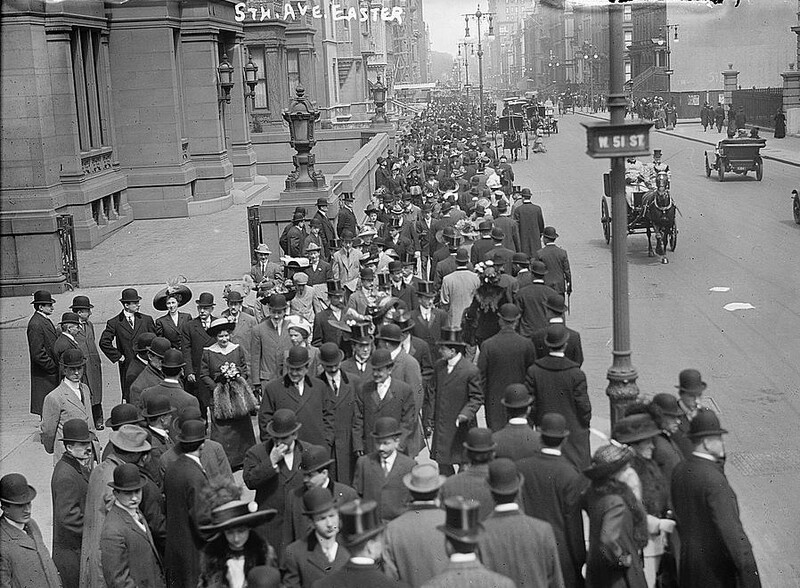 This is another view of 5th Avenue in 1900. 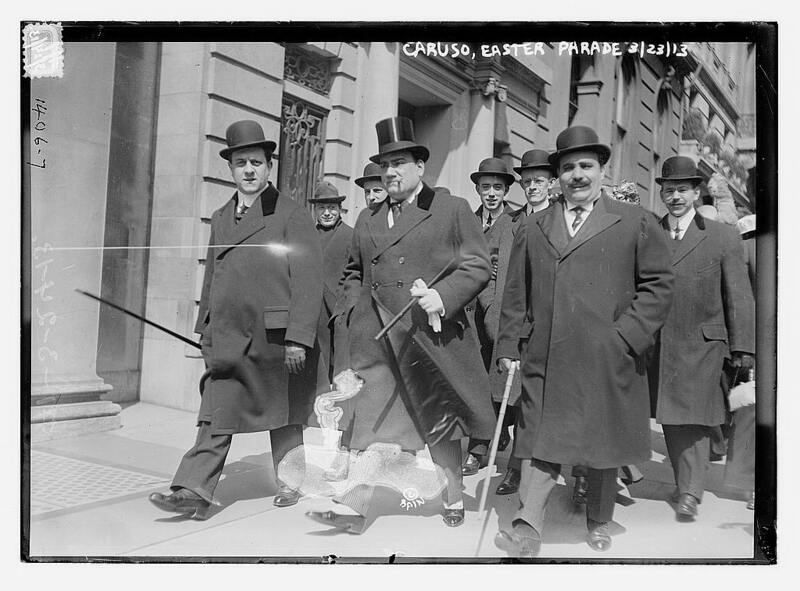 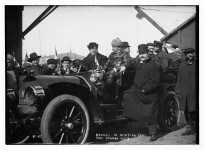 Atlantic City also had an Easter parade as seen in this photograph taken April 26, 1915. 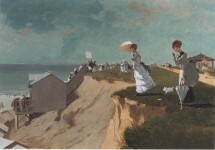 Look in the sand and you will see a man making a sand sculpture. 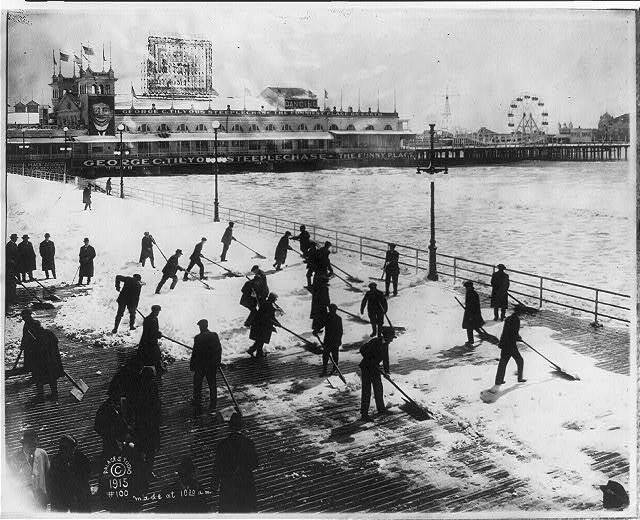 This Easter Sunday, snow had to be removed from the Boardwalk for the Easter parade. 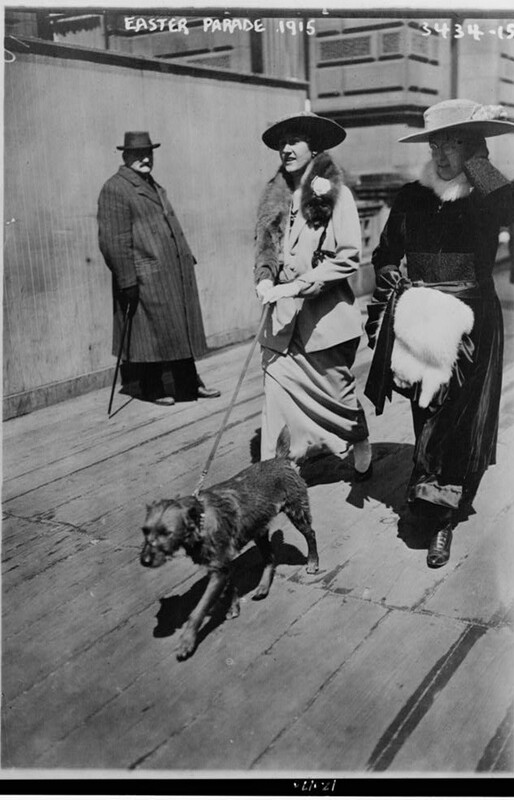 You can see Steeplechase Pier in the background. 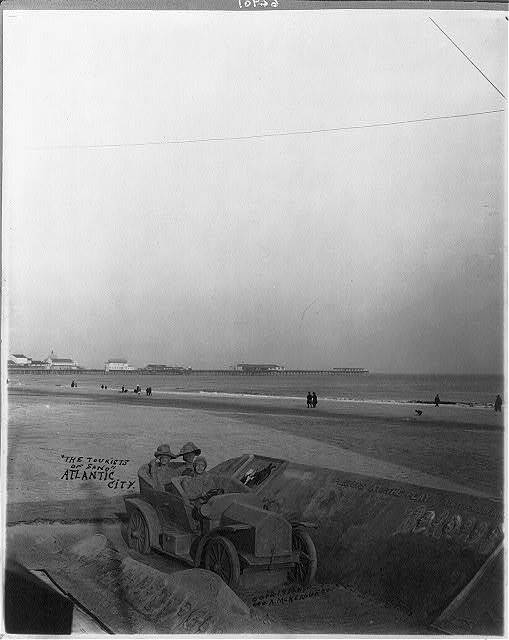 And here is a photograph of the Sand Sculpture the man was making called Tourists of Sand. 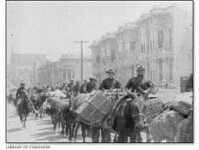 Court records dating back to the 1630s create historical accuracy as the reader is taken back to the primitive days of colonial Virginia and Maryland where the Pattendens encounter life-changing difficulties with Indians, ducking stools, illness, massacres, death, loneliness, love, and greed.